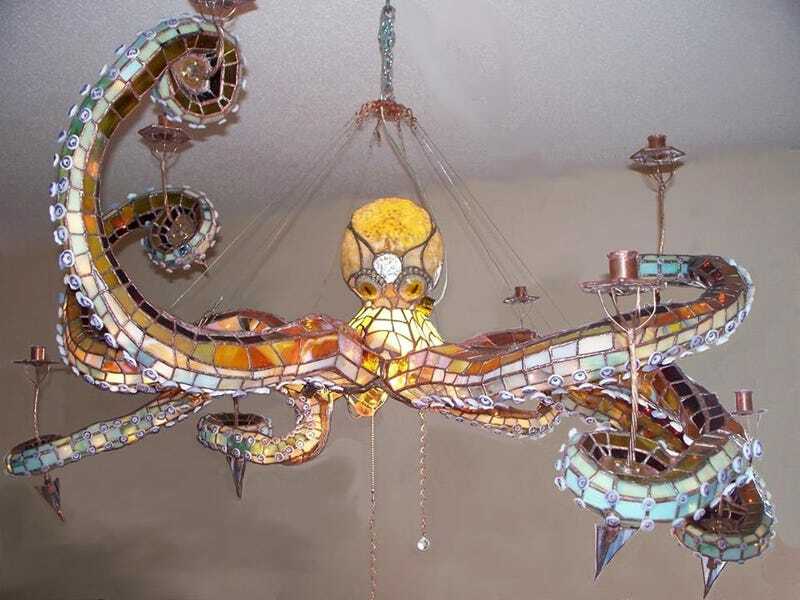 If your dining room is in dire need of tentacles (and have several grand to spare), this stained glass chandelier is happy to oblige, with detachable limbs that can prop up candles or glow all on their own. This fun lighting fixture was made by Mason Parker of Mason's Creations. Parker explains that each of the tentacles would be roughly 30-inches long if stretched out, and the lamp itself measure four feet across. The body and the tentacles can light up separately or all at once. But a creation like this doesn't come cheap. He is willing to part with a glass octopus like this one for $18,000.